When the essay first launched, it quickly got picked up by Digg, Reddit, Kottke, BlogTO, etc. It was so popular, our server crashed. Some resourceful people mirrored it on other sites while we frantically worked to move to a server with cloud computing (the advantage being expandable bandwidth). folks at the CBC who wanted to spread the story on TV and radio…. CBC television’s The National and CBC radio’s The Spark both contacted me separately and wanted to share the story of “Dinner with a Stranger” with their audience. Wow! The same story told in two different mediums. Check out the stories for yourself… Each creative team brought new creativity and added a new dimension to the experience of “Dinner with a Stranger”. 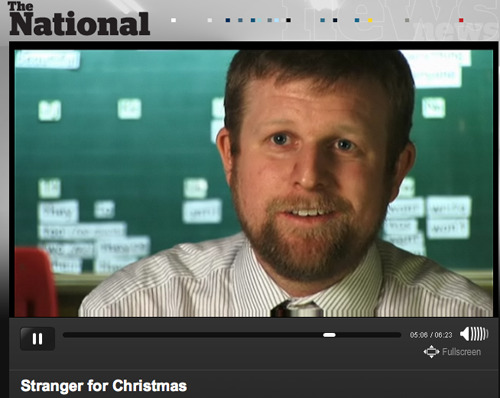 Watch “Stranger for Christmas” by CBC video-journalist, Peter Wall. Is this the end of the “Dinner with a Stranger” story? Nope. It’s just the beginning. 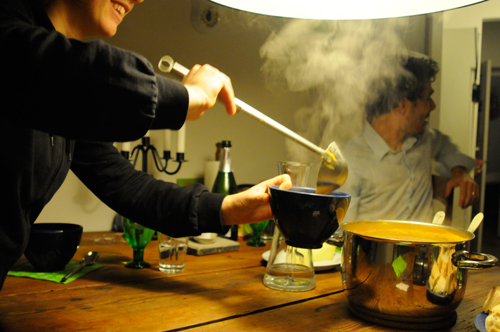 In the New Year, I’ll tell you the story of my Dinner with a Stranger in Sweden. It took place while I was attending the UN climate change talks in Copenhagen in December 2009. 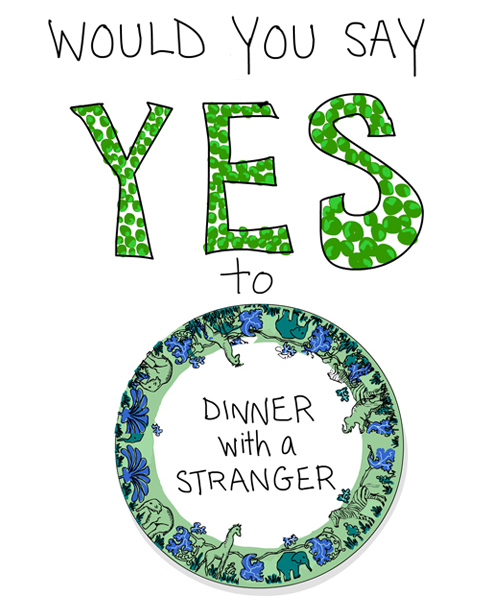 I also look forward to hearing whether you would say “yes” to dinner with a stranger. 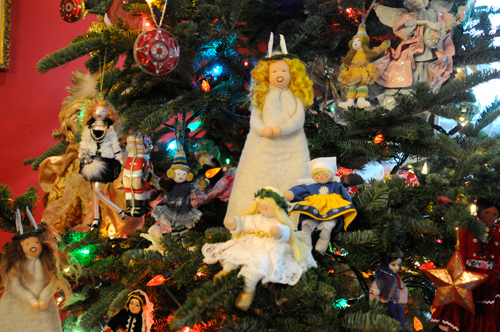 My best wishes to you for a wonderful holiday, and happy, healthy and green 2010. In honor of the first Dinner with a Stranger I’ve made a donation to the Yonge Street Mission for their Christmas dinners for the homeless. Screen shots from CBC National News and CBC Radio The Spark. 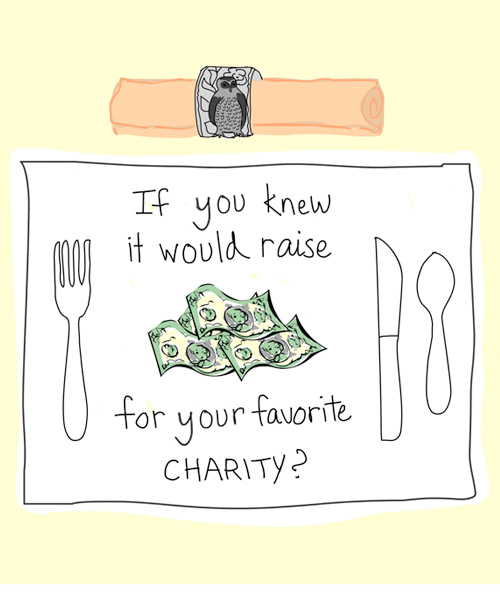 This is unique and a wonderful endeavor. Have a very Merry Christmas and a Happy green New Year! The video is just awesome Franke, takes the story to another level. Very heartwarming and inspiring!! I love everything you stand for. Thanks so much! Here I found the picture you took of us in your Dinner with a Stranger in Malmö, Sweden! !